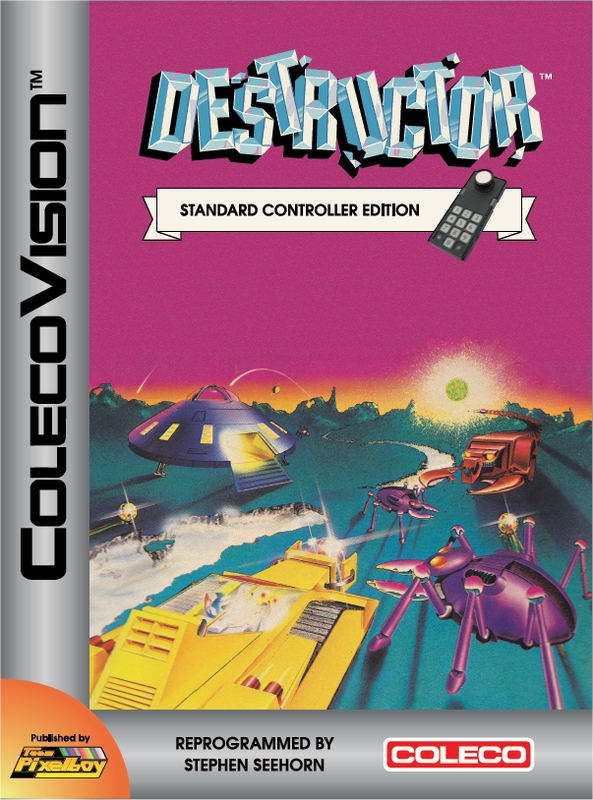 Destructor doesn't have a very good reputation among ColecoVision fans. The game requires the Expansion Module #2 (a.k.a. the steering wheel controller), and the few that managed to play with it back in the eighties either loved it or hated it. Personally, I really liked the game, despite its blatant design flaws, and I played it for hours at a time. My favorite activity was to explore the large island map and look for Destructor's eggs. This was the only reason I needed to venture far away from the cargo ship, and finding some transporter pads during these treks was always fun too, especially when Destructor was hot on my tail. Most ColecoVision emulators today do not support the steering wheel controller, and the few that do (like AdamEm under DosBox) are not likely to help earn Destructor any new fans. After seing repeated requests on the AtariAge forums to have the Destructor	ROM modified to support the standard ColecoVision controller, I decided to take it upon myself to get it done. I'm willing to bet more people would enjoy Destructor with "traditional" controls. SPECIAL THANKS: Daniel Bienvenu, and all AtariAge forum members. 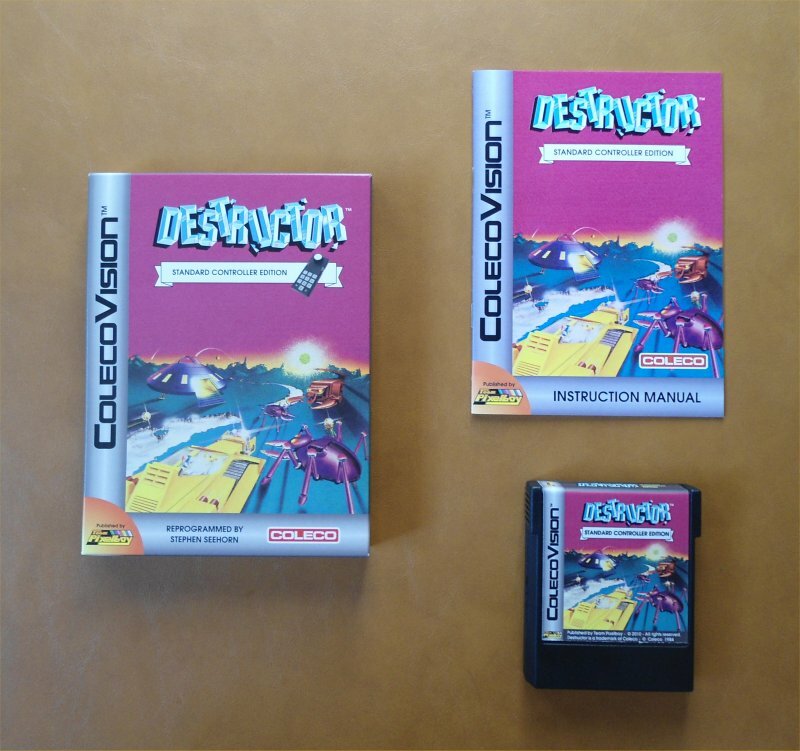 Here is a YouTube video of the original version of Destructor for ColecoVision. The version released by Team Pixelboy looks, sounds and plays the same, only with a standard Coleco controller instead of the Coleco steering wheel. 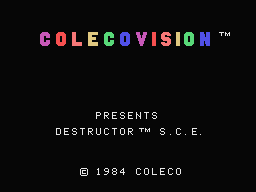 Destructor © 1984 Coleco Industries Inc.